Lindsay joined Watsi on May 16th, 2017. 22 other people also joined Watsi on that day! Lindsay's most recent donation supported Mi, a woman from Burma, to fund kidney stone removal surgery. Lindsay has funded healthcare for 15 patients in 8 countries. Rithea is a teacher from Cambodia. She has two sons. She likes to spend time with her family. Twenty years ago, Rithea had an ear infection. This infection caused the tympanic membrane, or the ear drum, in her left ear to perforate. For this reason, Rithea experiences tinnitus, pain, and discharge. She cannot hear clearly and has difficulty communicating with others. 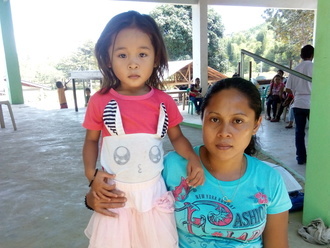 Rithea traveled to our medical partner's care center to receive treatment. On December 4, she will undergo a myringoplasty procedure in her left ear. During this procedure, surgeons will close the perforation. Our medical partner, Children's Surgical Centre, is requesting $423 to fund this procedure. This covers medications, supplies, and inpatient care. She says, "I hope my hearing improves after the surgery." Kakiiza is a 26-year-old woman from Uganda. She is married and has one son. She was trained as a social worker but currently stays at home. Her husband is a farmer. Kakiiza delivered her first son via C-section due to prolonged labor and fetal distress. She is now pregnant with her second child. Her doctor has suggested that she undergo another C-section to ensure a safe delivery. Kakiiza is scheduled to deliver on May 24. Now, she needs help funding this $280 procedure. After surgery, she plans to care for her children and look for a job. 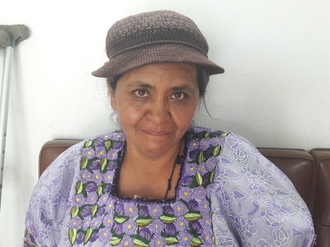 Vitalina is a 47-year-old widow who lives with one of her granddaughters in rural Guatemala. Years ago, Vitalina sustained an accident in which she fell into a steep ravine. She severely injured her leg, and it had to be amputated. 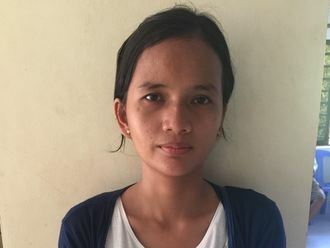 Since then, Vitalina's life has changed drastically—she can no longer work, and completing everyday tasks is a challenge. Since she is unable to work, she is dependent upon her eldest son. Without a steady source of income, Vitalina cannot cover the cost of a prosthetic leg. Receiving a prosthetic leg will change Vitalina's life. She hopes that receiving a prosthetic will allow her to find a job so that she can support herself and her granddaughter. On August 9, Vitalina will be fitted for a prosthetic leg. Now she is requesting financial support to cover her $1,166 treatment costs. "I am grateful to enter this program and receive a prosthetic leg. I will work very hard doing my physical therapies so that I can do more things," shares Vitalina. Victor is a fourteen-year-old boy who lives with his mother and two sisters in Guatemala's rural highlands. 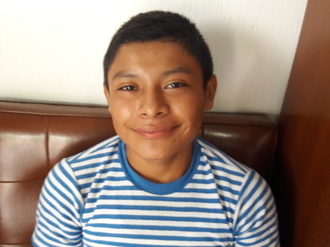 Although Victor has had many health problems, he studies persistently because he wants to become a doctor one day. Two years ago, Victor contracted gangrene, and the doctors had to amputate his leg. As a result of the amputation, Victor has difficulty with his mobility and struggles every day with walking around his house and getting to school. 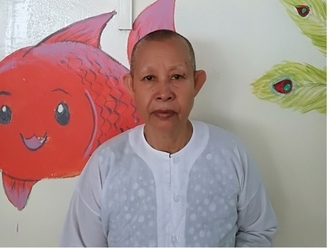 Our medical partner, Wuqu' Kawoq, is requesting $1,166 to fund Victor's prosthetic, which he is scheduled to receive on June 9. This will cover the cost of the prosthetic, along with the expenses of fitting and molding sessions. Victor says, “When I grow up I wish to study a lot and become a doctor. Since I was a kid I have always gotten very sick and I was always in the hospital. I met lots of great doctors and because of that I wish to be a doctor so that I can help people and then I can also take care of my Mom like she does for us.” Receiving this prosthetic will help Victor move feely like he used to so that he can continue to study and eventually achieve his dreams. 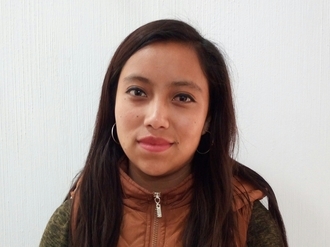 Meet Damaris, a 20-year-old young woman who lives with her four siblings and parents in Guatemala’s rural highlands. Damaris has myopia, or nearsightedness, which means that she has difficulty seeing faraway objects. She requires a new pair of prescription glasses to help her see clearly. On June 12, Damaris will be fitted with a new pair of prescription glasses. Our medical partner, Wuqu’ Kawoq, is asking for $552 in donations to help cover the costs of the glasses. "My family and I are so grateful for your help. I feel so happy," says Damaris. 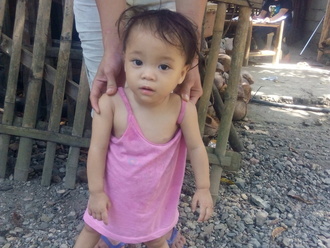 Shiela is an 18-month-old baby from the Philippines. She lives in a small house made of metal sheets and bamboo. Her father works as a carpenter to support the family. Shiela's parents say that their daughter loves sucking on her thumb. Shiela has been diagnosed with moderately acute malnutrition. Malnutrition threatens her growth and development and could even be fatal if not addressed. Fortunately, she will begin $184 malnutrition treatment on February 22. Shiela will be treated by International Care Ministries (ICM), a Watsi medical partner. One out of five children under five in ICM communities is either severely or moderately malnourished. Worldwide, poor nutrition is associated with nearly half of all deaths in young children. In remote communities and urban slums of the Philippines, the lack of clean water and unclean environments add risk to potentially fatal childhood diseases. ICM’s home-based feeding program provides nutrient-enriched food packs to ensure malnourished children get additional food to regain normal weight and achieve optimum physical and mental development. After identifying a child as malnourished, staff and community volunteers make weekly visits to monitor this child’s progress. To help sustain the health of the child, ICM’s professional staff educate the mother, guardian, or other family members about proper nutrition, sanitation, hygiene, and organic vegetable gardening. Shiela's mother is excited for her daughter's future. She says, "I hope that my child will soon learn to walk and grow strong and healthy. I hope she becomes a nurse one day."